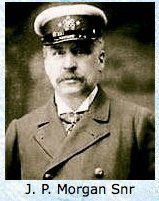 "John Pierpont Morgan (April 17, 1837 - March 31, 1913) was the famous American financier, banker and art collector who dominated corporate finance and industrial consolidation during his time," per Wikipedia. He and his son owned four Corsair yachts, from 1890 to the 1940's, each more outstanding than the former. 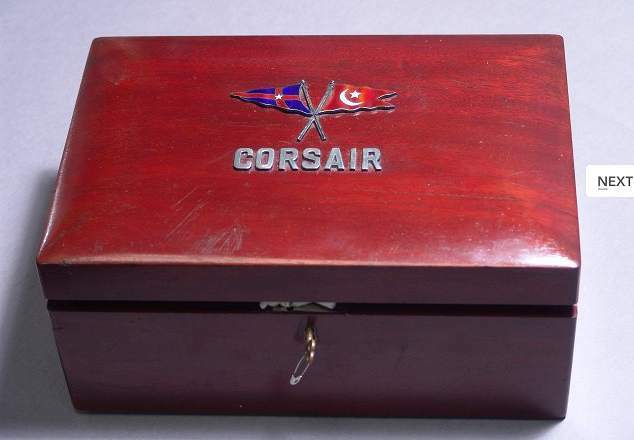 His personally registered burgee (nautical flag), along with the name "Corsair," adorn the chip chest (more on that below). 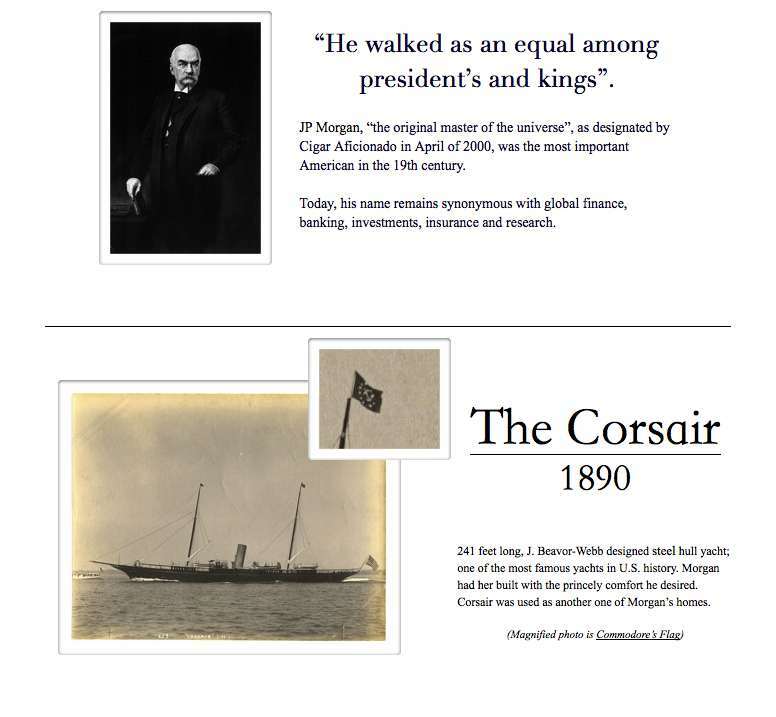 The poker chip set was sold in a May 2011 auction of artifacts from Morgan's Corsair (also elaborated on below)! 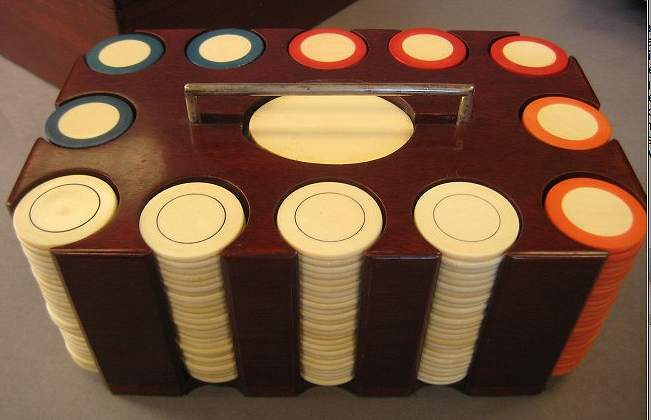 This set of "ivory poker chips is from J. Pierpont Morgan's private yacht Corsair. 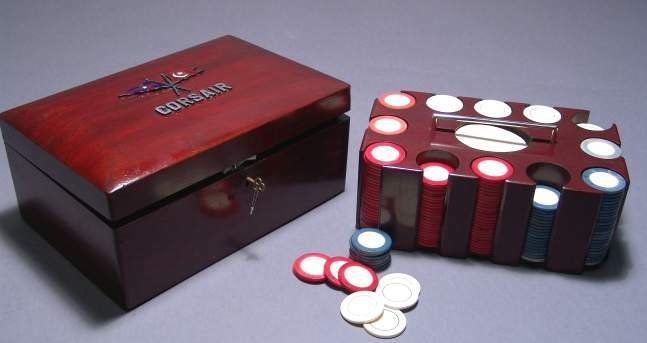 The three hundred ivory chips are fitted into a mahogany case by Black, Starr & Frost, New York. The lid and bottom of rack are lined in a rich green velvet. 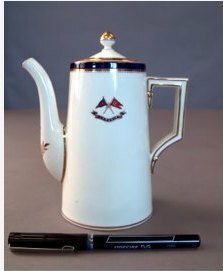 The hinged lid is adorned with yacht name Corsair in silver letters and crossed sterling flagstaffs with the New York Yacht Club burgee and JP Morgan's private yachting flag which consists of a crescent moon and star. The flagstaffs are intricately detailed with rigging and finials. The rack handle, lock, plates and hinge are silvered. 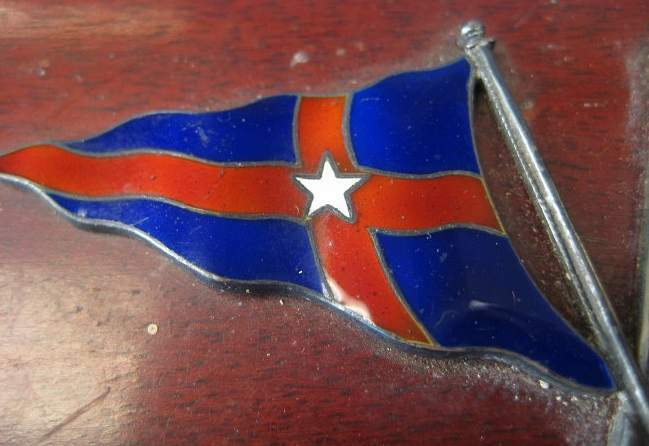 The three hundred ivory chips have blue, red, white and tangerine colored rim borders. An ivory deal buck rests on green velour under the rack handle. Chip count is 100 white, 75 blue, 75 red and 50 tangerine. 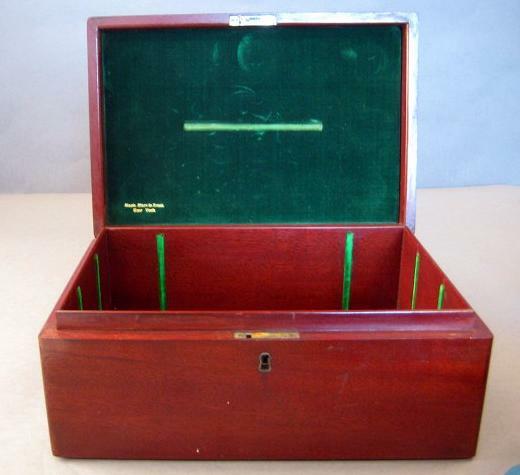 The box is fitted with a lock and key. Condition: very good. There are some small scratches that would be expected from something of it's age. Also, the lock needs a bit of attention. With the lid open, the key will activate the lock but will not unlock it. Also, the dye intensity on some of the blue chips is a bit faded. Box dimensions 10 1/2" x 7" x 5," per the auction description. Some of the auction details are below. Suffice to say, the auction concluded May 1, 2011. The winning bid was $55,000. With the 23% buyer's premium, it went for $67,650. With the Massachusetts sales tax added on, it went for $71,878. 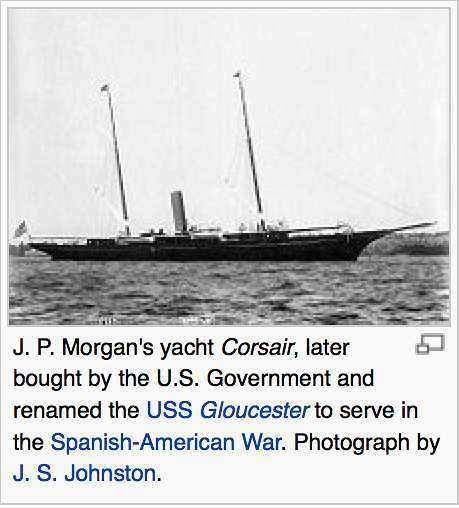 "J.P. Morgan Jr. and his legendary business tycoon father, J. Pierpont Morgan, owned four yachts christened Corsair. "The Yacht Corsair was built in 1890 for J.P. Morgan, the internationally famous financier. 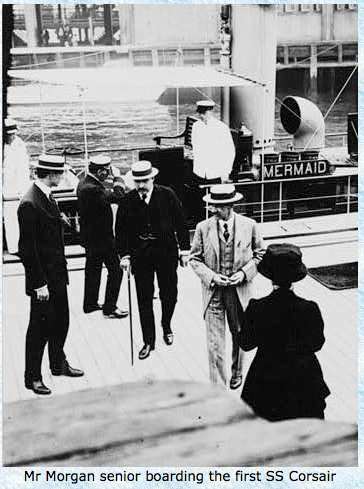 J.P. Morgan was the head of the International Mercantile Marine Co., that had in its large Atlantic shipping fleet, the White Star Line and, of course, Titanic. Expensive yachts were the corporate jets of the late 19th century. 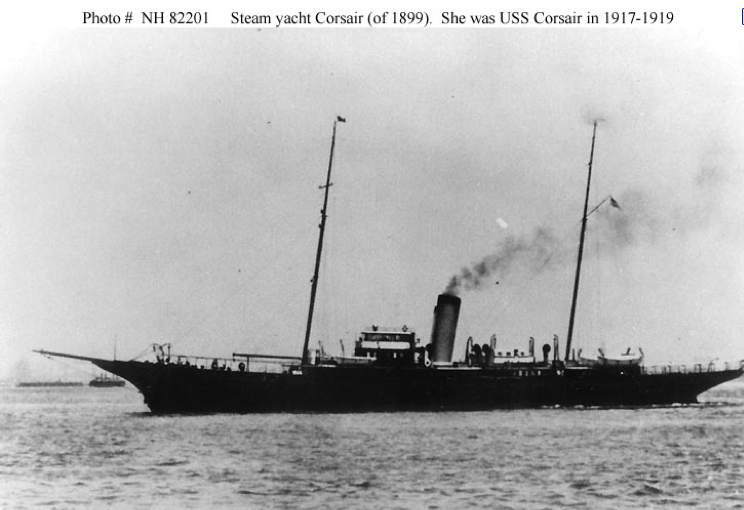 "Corsair had a celebrated career both as the personal yacht of the philanthropist and as a commissioned ship in the U.S. Navy. 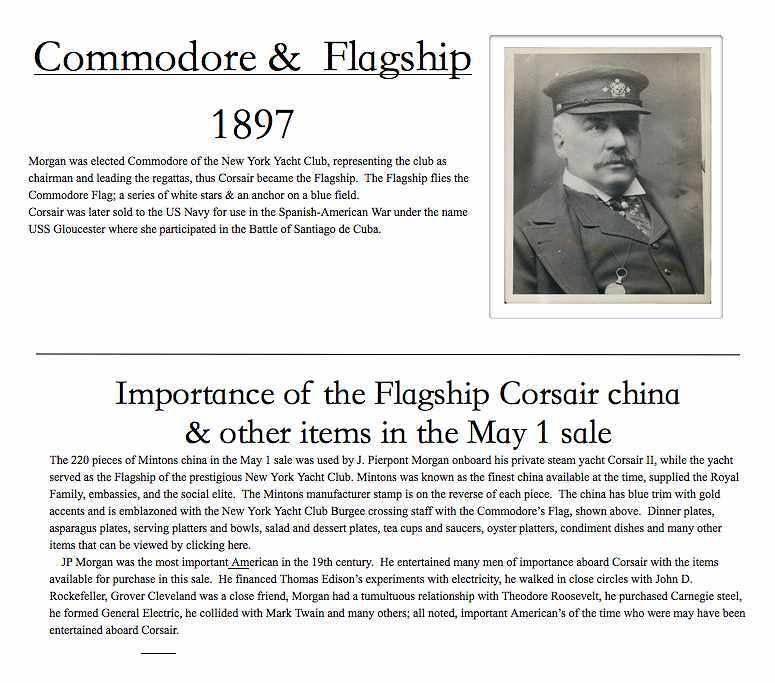 During Morgan's tenure as commodore of the New York Yacht Club in 1897-98, Corsair served as flagship of that distinguished fleet. It is interesting to note that despite her great size (218,' or 241' ? ), she was by no means the largest yacht in the club. That same year, there were four vessels longer than 300 feet: W. K. Vanderbilt's Valiant (332 feet), Ogden Goulet's Mayflower (320 feet) and Nahma (306 feet), and Eugene Higgins's Varuna (304 feet). After the destruction of the USS Maine in the Havana Harbor and the likelihood of war, the US Navy began scurrying about for a navy. Looking for fast yachts that could be armed and serve as gunboats, the Corsair was one of the Navy's first choices. Morgan tried to stave off the Navy by promising to build another yacht for them but the Navy was adamant. In 1898, she was armed with 3 and 6-pounder guns, two machine guns, and renamed the USS Gloucester. She joined the Blockading Squadron of the North Atlantic Fleet. At the Battle of Santiago Bay on July 3, she helped sink the Spanish torpedo boats Pluton and Furor. She was later credited with the single-handed capture of Guanica, Puerto Rico, ... ... and aided in the capture of Arroyo. " In 1898 Morgan had launched his new Corsair, this one 302 feet in length. "SS Corsair IV (launched in 1930) served the Morgan family faithfully for the ten years, sailing along the East Coast of the USA as well in the Caribbean and she took part for trans-Atlantic record-breaking crossings. However in 1940 the Corsair IV was handed over to British Admiralty to be used for the war effort. After the war was over she was laid up as the Morgan’s had no further plans for her." Corsair IV was ranked #16, in 2010, in SuperYachtWorld magazines's gallery of the all-time 50 most beautiful superyachts. To give an idea of how prices went at the auction, this 2" x 3" J P Morgan creamer went for $2800 plus the buyer's premium and taxes -- lot #1138: "Mintons creamer from J. Pierpont Morgan's private steam yacht corsair. The Mintons stamp dates this piece from 1913 - placing this piece on Corsairs' III & IV. The hallmark of Mintons is above the mark of T. Goode & Co., Ltd., London, the retailer. Mintons produced china for the Royal Family, Embassies, and the social elite. Creamer has gold and blue trim, further emblazoned with crossed flagstaffs with the New York Yacht Club burgee, Morgan's house flag, and flowing ribbon reading "Corsrair". 3 1/4" wide x 2 1/2" tall." This 3" butter dish sold for $1700 plus buyer's premium and taxes. Lot #1360: "Small Flagship Corsair Butter Pat, 3 1/4" diameter. The Minton's china has the J. Pierpont Morgan signature navy blue trim with gold accents. 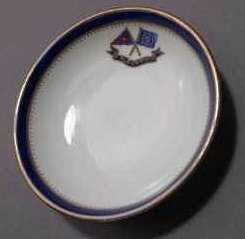 Top, inside edge of dish has the New York Yacht Club burgee and the Commodore's Flag crossing staffs with a blue banner beneath reading "Flagship". Reverse has Mintons stamp. This offering of rare China was used aboard J. Pierpont Morgan’s private steam yacht, Corsair II. This historic craft served as “flagship” of the prestigious New York Yacht Club. The 241’ craft was built with the finest materials and furnishings available, providing her owner with the princely comfort he desired. J.P. Morgan was elected the Club’s Commodore in 1897 and this fine porcelain china, made by the world renowned English maker Mintons, was used to entertain Morgan’s guests. His guests were some of the most famous and powerful people of the day. 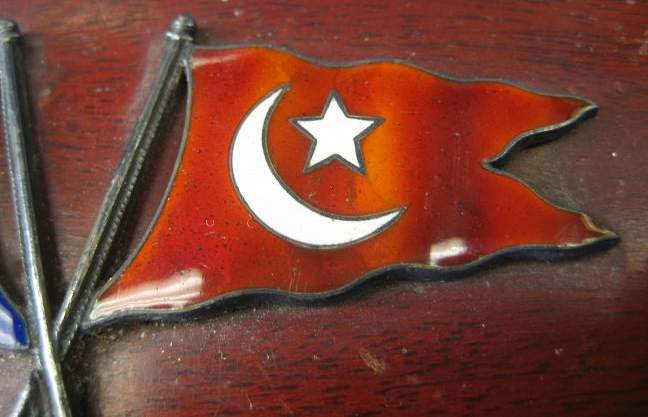 There are 250 lots of J.P. Morgan’s former possessions in this sale at Boston Harbor Auctions." link to the PAB Widener/Josephine ivory chip set.